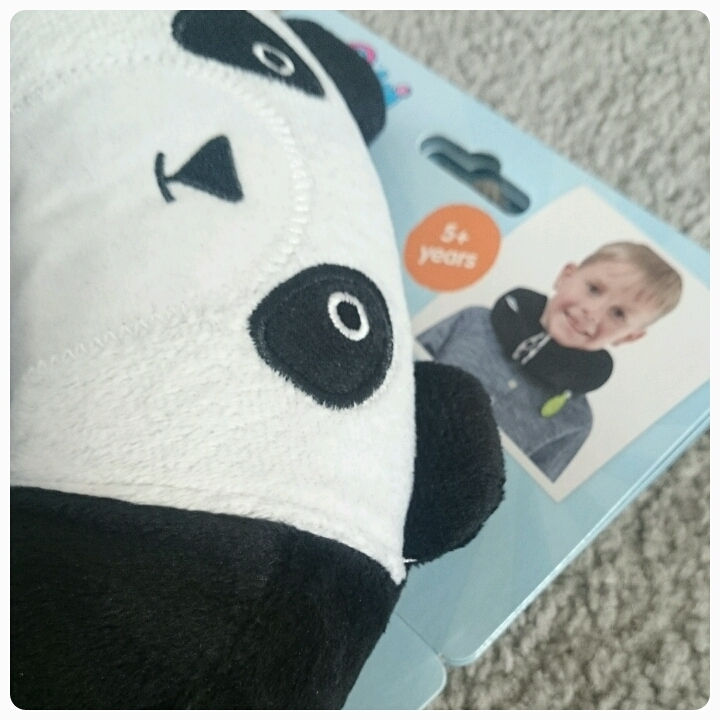 I am a huge fan of Trunki products, I've reviewed the BoostaPak and the ToddlePak in the past. 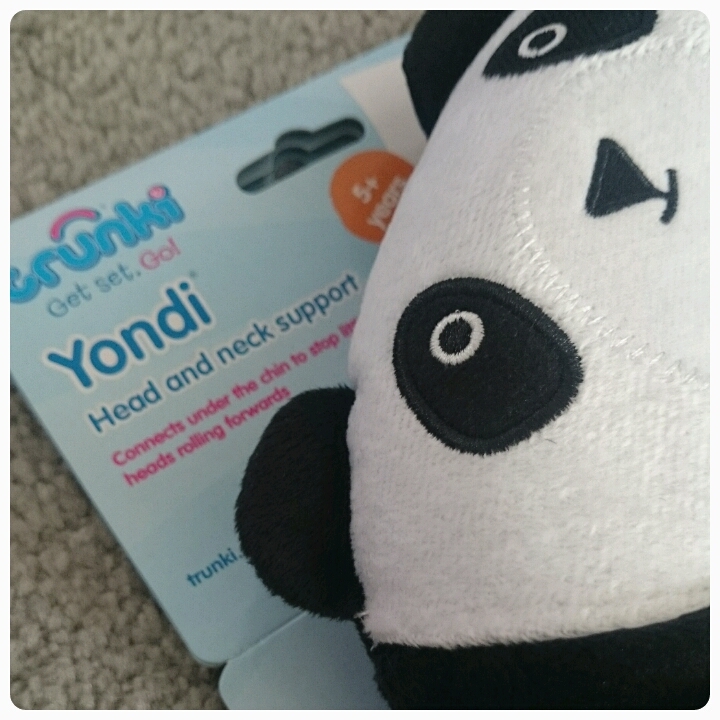 One of their other innovative products is the Yondi. This is a travel pillow which is specially designed with children in mind. 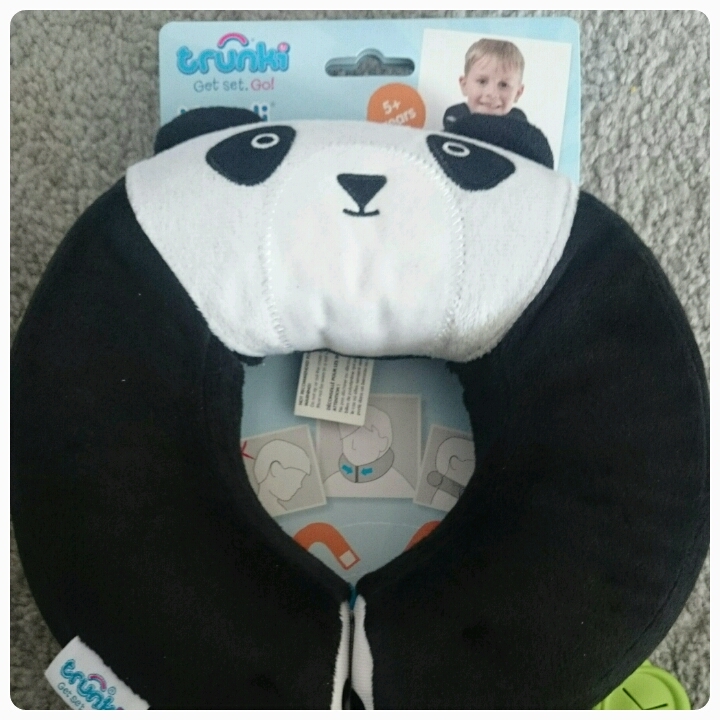 It has hidden magnets which connect under your child's chin and this in turn stops their heads rolling forward and allowing them to sleep comfortably whilst travelling. Trunki have just released two brand new characters to their range, Pablo Panda and Koko Koala, these are specifically for children aged 5 and over. I'll be sharing an indepth review in the near future of the lovely Koko Koala so watch this space, but in the meantime I have a Pablo Panda to give away to one lucky reader. All you need to do is fill out the rafflecopter form below. The giveaway is open to UK residents only and will close at 11.59pm on the 12th May 2015. Make sure to enter correctly because all entries will be checked and verified. We play word games, and we have a portable dvd player too. Fortunately we have video screens in the back so I put a video on for a long journey. We sing along to cds all the time. We play I Spy and or spot different colour cars! Our 4 yr grandson is kept happy with music and spot the sheep! Lots of singing and hope they drop off haha! Lots of games of i-spy, iPad with games on, snacks. Make sure all gadgets are fully charged and let them choose one other non-tech item they can play with in the car. he likes to play games. My toddler loves listening to music and looking out the window. I guess I'm pretty lucky! They love the game where we each take it in turns to say a few lines of a story, making it up as we go along. music, silly car games always seem to work too. We play games like I spy and listen to Disney songs. Usually listen to audio books. My 2 usually fall asleep, if not we usually play games and sing songs. It's really easy at the moment because my son's latest interest (obsession) is cars. So we just have to call out every car make and model that we see and he's happy. We sing and play I-spy. When all this fails the DVDs come out. My daughter is always happy with cuddly toys, my teenager son his ipod or play games in his apps. We have always taken toys and books and played games spotting different types of vehicles. For Christmas just gone my 2 daughters were given an in car DVD player by their Grandma so hopefully they will love this on their upcoming road trip! I buy little toys such as travel magna doodles, colouring & sticker books and games. Stickers and colouring books, and lots of i-spy. I spy, reading, snacks and kids cds. Lots of different activities and lots of snacks. Snacks, colouring books, puzzle books, mini travel board games, card games, and small travel toys! Coloring books, crayons and for v long journeys, the leap pad comes out! used to be - pick a colour and spot cars of that colour. first to 100 wins. now, the dvds are a godsend. Singing and pointing things out.